Foreign tourists and foreign architects working in Japan picked out the most amazing buildings in all of Japan for a popular TV program that aired earlier this month. A list of the 25 most amazing buildings in Japan was compiled by as part of the “tv asahi” series 世界が驚いたニッポン! スゴ～イデスネ! !視察団 (Sekai ga odoroita Nippon, Sugoi desu ne! Shisatsu-dan / The world surprised by Japan! That’s amazing, isn’t it!! Inspection team) in which the studio brings to Japan experts in a particular field to unearth that which might be considered “amazing” about Japan from a foreign perspective. The program, which aired on Saturday Dec. 2, focused on what the studio called Japan’s “amazing” buildings with the opinions of over 300 foreign tourists and architects, including architects from the U.S., Norway, France, and Germany, heard in order to produce the ranked list of 25. Here we introduce the top 10 most amazing buildings in Japan as presented on the program. 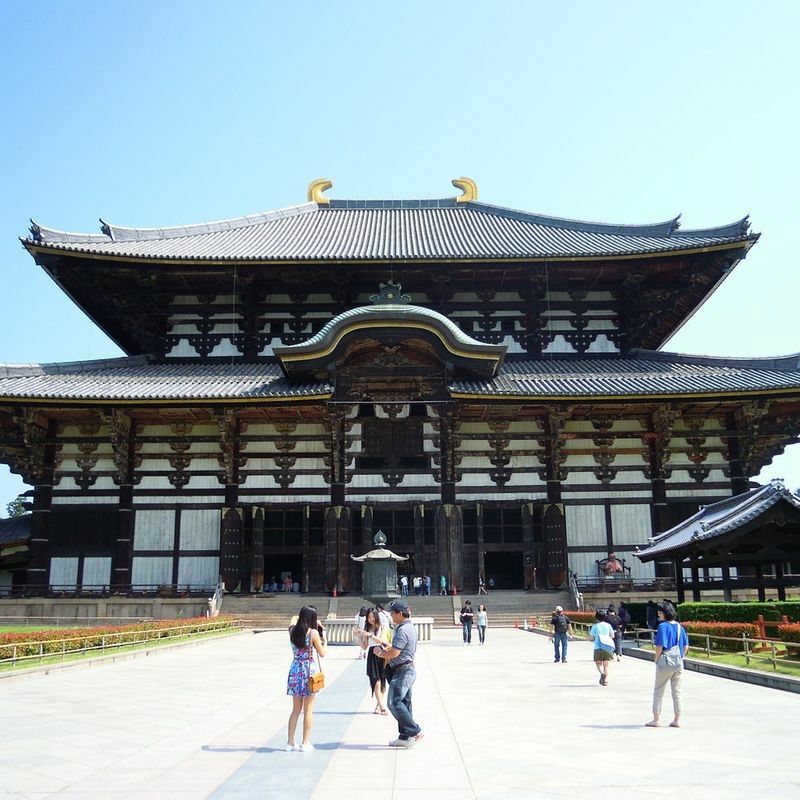 World Heritage-listed Todaiji (東大寺) in Nara kicks off the top ten. Perhaps it should come as no surprise to see this Buddhist temple behemoth on a list inspired, in part, by members of the architecture industry, the main hall of Todaiji (or Eastern Great Temple), the Daibutsuden, after all, is the largest wooden structure on earth, with an impressive 57-m length and 50-m width. A big building built to house big things, the hall is home to one of the largest bronze Buddhas in Japan which stands, well sits actually, at 15m in height. As if this wasn't enough, the current 1692 hall construction is a mere two thirds its original size. Todaiji has the amazing size but it also has the time-span. 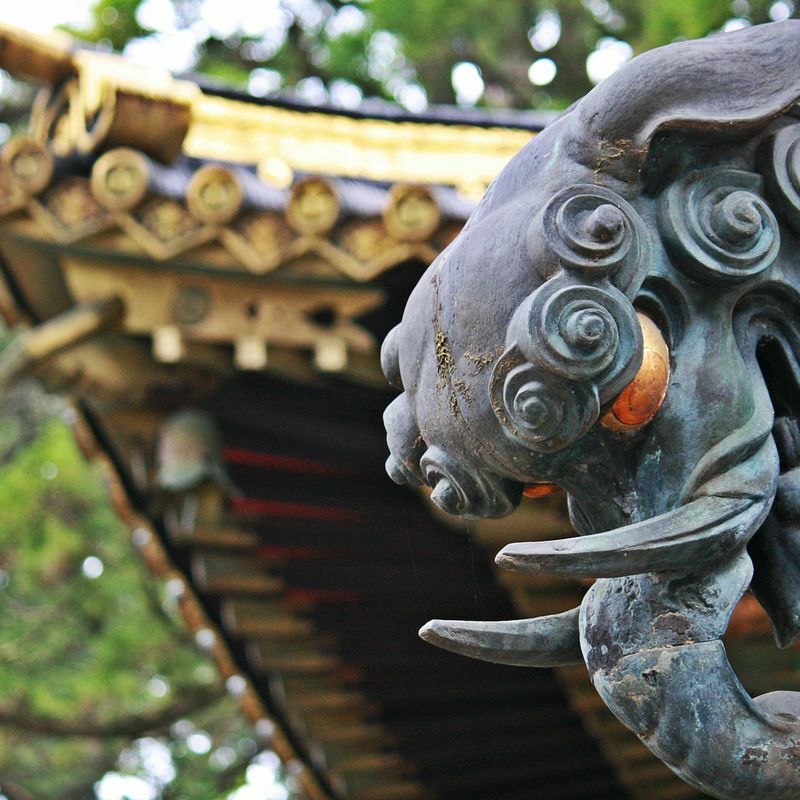 The origins of this Nara icon can be traced back to 728 while the bronze Buddha was completed, along with the Daibutsuden in 749. The large Todaiji site boasts other historical features besides and being next door to Nara Park even Nara's iconic deer turn up to show some appreciation, or, well, to hustle for some food handouts. Proximity to Tokyo, a myriad of money-saving, logistics-easing travel passes, and some straight-from-the-coffee-table-book Japanese imagery make Nikko understandably popular with the foreign traveler in Japan. It also makes it understandable then, that Nikko's Toshogu Shrine (東照宮) should appear in this rank of amazing buildings in Japan, from the point of foreigners. Toshogu Shrine, that's the one with the "see no evil, speak no evil and hear no evil " monkeys that the traveler will see plastered across promotional materials before they even make it to the shrine. But it's also the shrine that could claim to be one of the most, if not the most, lavishly carved and decorated in Japan and with Toshogu's almost ethereal (if you can ignore the crowds) forest setting, the shrine has dropped-jaw factor enough to make it a worthy entry on this list. Actually, Toshogu covers a cluster of structures but it's the shrine's Yomeimon Gate that gets it into the top ten as being one of the most beautiful, sorry “amazing” gates in Japan. Well, it is covered with some 500 carvings. Fittingly, but not without a hint of self aggrandizement, Yomeimon is sometimes referred to as the Gate of the Setting Sun, because you can stare at it for that long apparently. Here at City-Cost we love all things related to, well, cost so it's fun to see on the shrine's home page that Toshogu's reconstruction costs totalled around 40 billion yen in today's money. *NB: Some buildings of Toshogu Shrine were undergoing renovation at the time of writing, due for completion beyond 2020, although work on Yomeimon Gate has already been completed. Everyone's got their favorite Japanese castle, haven't they? This expat's is Himeji Castle. Granted, it's an obvious choice. If there could be another "obvious choice" for a favorite castle in Japan it would probably be Matsumoto Castle (松本城), Nagano. Matsumoto Castle is, according to the castle's home page, the oldest castle comprising five structures and six floors in Japan. While such a boast sounds a little bit microscopic to the point of undermining the "stat," it does nothing whatsoever to undermine just how good this thing looks. 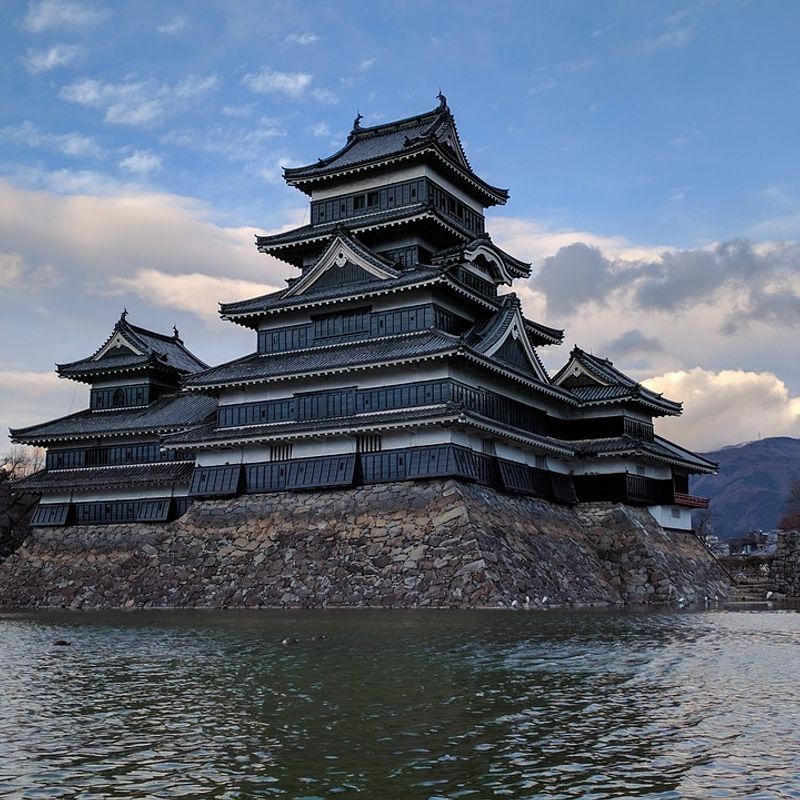 Where other castles in Japan, all white-wash and flourishes, appear too effete for their purpose of dealing with conflict, Matsumoto Castle looks almost deadly. The black panelling, the perfect symmetry and razor sharp edges make this castle look like the cold instrument of war that it is (although with a later added "moon viewing" turret). Or was. And somehow it's beautiful with it. The mountains in the background help. 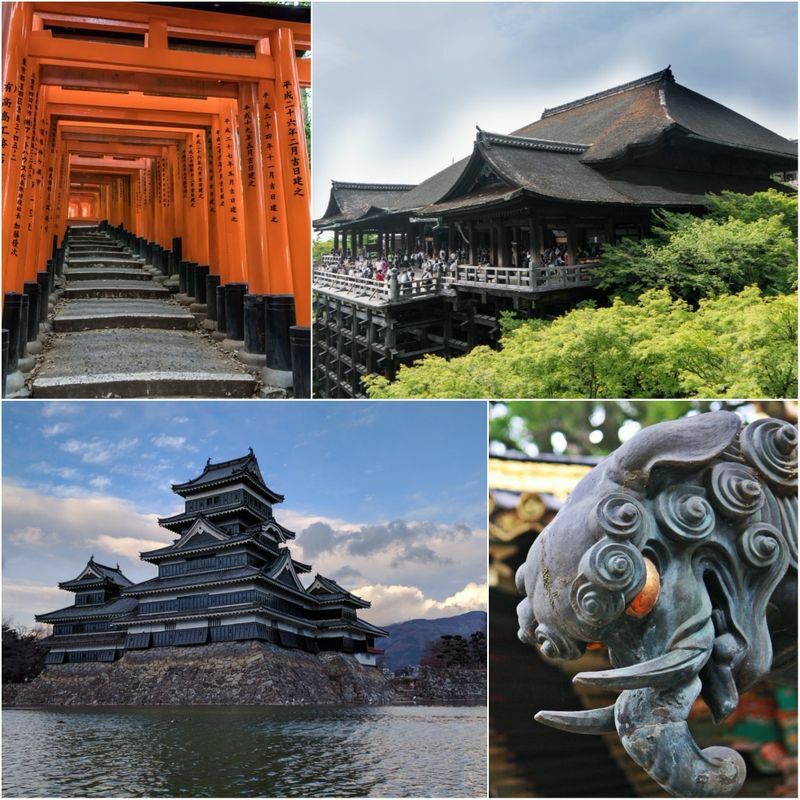 Matsumoto Castle is no stranger to praise though, having been on the list of "Japan National Treasures" since 1936, just four years after the idea of such a list was made reality. The castle dates back to the late 16th century. Would it be a stretch to say that if one of Japan's historical buildings was picked for a list like this then it would be Kyomizudera (清水寺) in Kyoto? Probably not. The "stretch" that is. Endlessly photographed and the subject of a thousand annual school excursions, Kiyomizudera has become almost the default setting for the Japanese temple. And while the purity of the waters upon which the temple is based may have become sullied by the ever presence of pretty much all who visit Kyoto (nearly 57 million in 2015) Kiyomizudera manages to maintain its grandeur. Perhaps it's the setting more than anything, up there on the eastern slopes of Mt. Otawa, there are views over Kyoto to be had in these parts. Of course, if you can throw in a deity who can fix people up with the love of their life, then you're going to boost the numbers. Said deity can be found in the temple's Jishu Shrine. But this is about the architecture and the Main Hall (Hon do) of Kiyomizudera is certainly a striking piece of work. It’s massive for a start. Perhaps this is out of necessity given that the hall houses a statue of the Kannon Bodhisattva with its eleven heads and one thousand arms. Arguably though, it’s the blunt practicality of Kiyomizudera’s Main Hall that amazes - the 1633 construction sitting securely on pillars and rails that resemble modern-day scaffolding and prevent the structure becoming victim of earthquakes despite its already precarious position poking out from the mountain slopes. By any estimation, it’s a fine achievement. And then there’s that amazing view. The great panorama of the Main Hall and red pagoda emerging from the trees with the sprawl of Kyoto and distant mountains beyond. Not even an army of giddy school kids can spoil it. 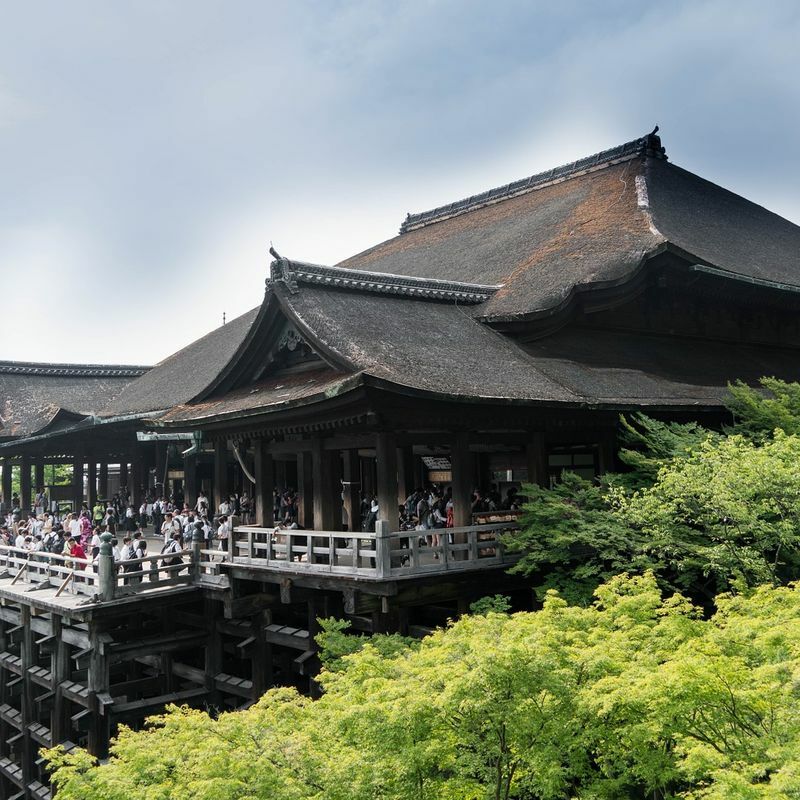 *NB: The Main Hall of Kiyomizudera is was undergoing renovation at the time of writing, due for completion in March 2020. As a result the structure is covered. The one with all the vermillion torii. 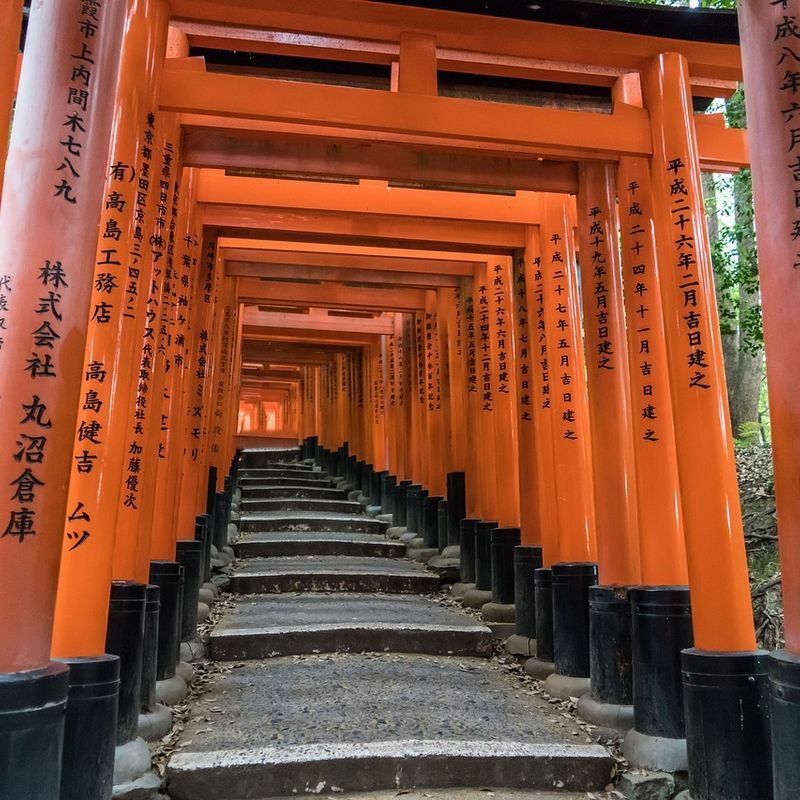 Fushimi Inari Taisha (伏見稲荷大社) has been the subject of more Instagram look-at-me-with-all-these-gates posts than there are gates in the shrine’s grounds. And there are thousands of gates. Design wise, these tunnels of torii are simplicity to the point of insanity (or at least exorbitantly excessive) but the Sisyphean effort and patience it must have demanded to line them all up is surely something to be admired. Perhaps it’s something to do with “Inari” being the Shinto god of rice? Either way, the “vermillion tunnel” effect is indeed striking and it’s no surprise to see them on this list of amazing buildings. But then you find out that the gates of Fushimi Inari Taisha might well be a form of advertising or gloat. Donators to the shrine’s cause can buy themselves a gate (starting from a few hundred thousand yen) to line up with the others and have their name inscribed on it. One wonders if space will ever run out for all these torii but when one considers that the grounds of Fushimi Inari Taisha include a mountain there’s plenty of room to work with. Hiking up to the peak is to see the density of these gates decrease, for now. The first entry into the top 10 most amazing buildings in Japan that isn’t really old - the Tachu Naito-designed Tokyo Tower was erected in 1958 and charged with handling the bulk of the capital’s broadcasting needs. 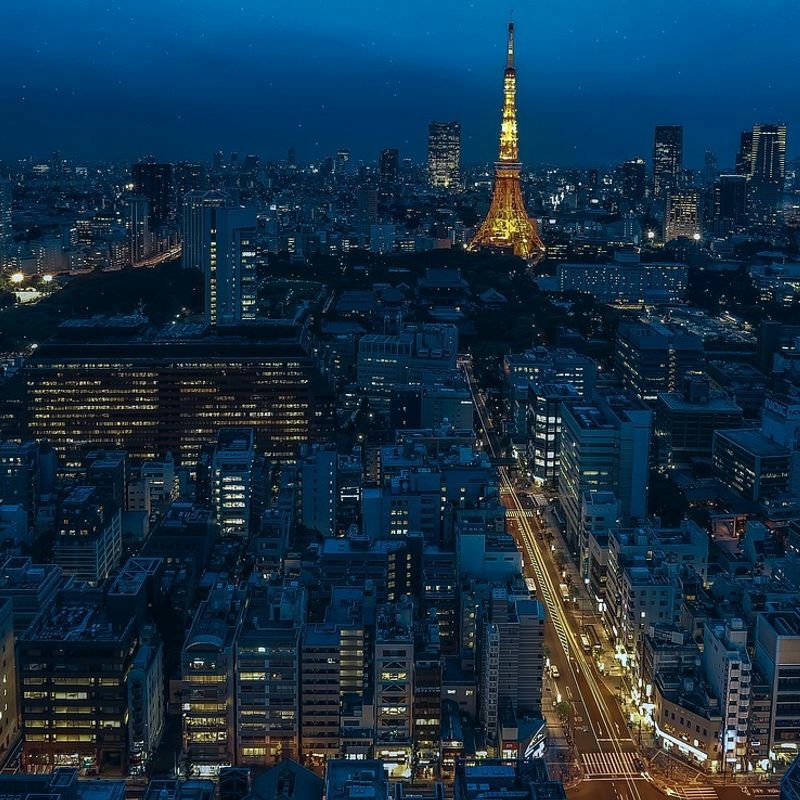 It probably doesn’t need to be said, but the design of Tokyo Tower draws inspiration from the Eiffel Tower in Paris, France. And, of course, they made this one taller, by around 13 m, making it the tallest freestanding tower in the world at the time at 333m. Despite losing out in height and broadcasting responsibilities to Tokyo Skytree in recent years, Tokyo Tower remains something of a Tokyo icon. Yes, it’s a bit garish and tacky, and it will never shake off its reputation as an Eiffel Tower imitation but the tower is hugely popular nonetheless. And when the lights are on, with that rich orange/red glow set against a dystopian Tokyo at night, the view to the tower is one that even the most hardened cynic can’t help but take pause to admire. Maybe it’s just this expat but somehow the fact that Tokyo Skytree is the tallest tower in the world and the second tallest structure on earth (after the Burj Khalifa in Dubai) seems to go under the radar. You’d have thought such superlatives would be more involved in the marketing than they actually are - it takes two clicks and some squinting before this becomes apparent on the tower’s home page. Maybe Tokyo Skytree is comfortable enough in its latticed skin not to feel the need to make such boasts. 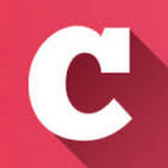 Which is odd really, because the look of the thing is, by common consensus, fairly unremarkable. If you were to ask a kid old enough to be able to draw a tower that is remotely realistic, they would probably produce something like this. 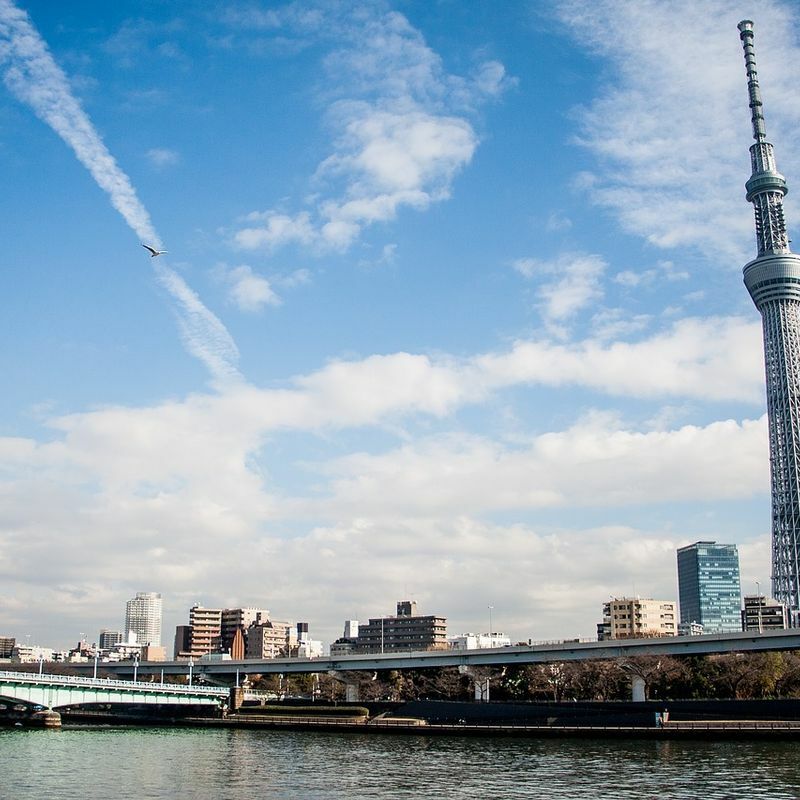 Tokyo Skytree reached its full height in March 2011, the same month and year that the Great East Japan Earthquake hit and gave the capital a frightening shake. This expat remembers watching a TV program about how Tokyo Skytree handled the tremors of that earthquake. With flying colors, by all accounts. (Despite being pencil thin Tokyo Skytree is packed with earthquake absorbing engineering.) Still, the sight of construction workers, near the pinnacle of the tower at the time of the Great East Japan Earthquake, moving to the center of the structure as it swayed from side to side with Tokyo’s sprawl yawning far below was enough to put this expat off ever taking those elevators to the tower’s observation decks. That and the 2,000 + yen admission fee. Tallest tower in the world or not (not that there’s any debate), Tokyo Skytree is quite clearly the tallest thing in the panoramas of Tokyo, and one of the newest. It was always going to appear on this list. It probably comes as some relief to the Japanese, and validation, that the site of one of those “best three views” in Japan has made it to the upper echelons of this list - specifically THAT “floating” gate that forms a sometimes aquatic entrance to the undoubtedly lovely Itsukushima Shrine (厳島神社) on the island of Miyajima, Hiroshima. 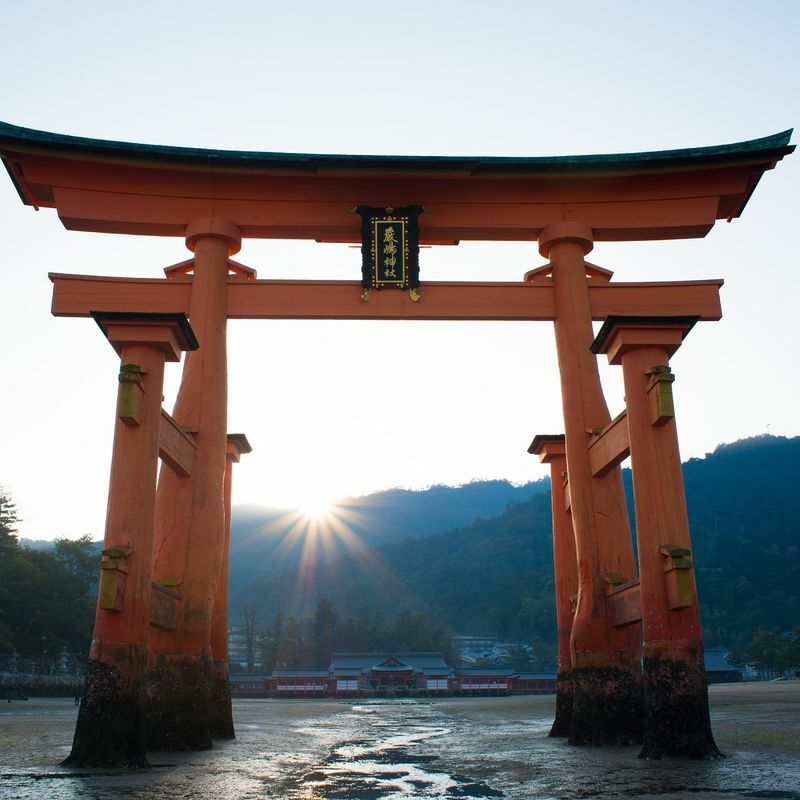 If the shrine is the star attraction of the island (the island is named after it - real name is “Itsukushima”) then the gate (torii) must be the star of the shrine. Whether or not you think that the view of Itsukushima Shrine’s torii, standing bold as brass in the waters of the Seto Inland Sea with either shrine or a distant Hiroshima in the background, qualifies as one of the best three views in Japan, it is without doubt an iconic one. Added to this, you get to see two versions - one in the water, and one in the sand when the tide is out. The gate (and shrine) is also illuminated at night to provide a third perspective. It’s not just the floating torii of Itsukushima Shrine that is built in the water - pretty much the whole shrine is, well, over it, at least. It’s fitting that both Himeji Castle (姫路城) and Matsumoto Castle should be present in the amazing Japanese buildings top ten. Both are perfect to the point of being hard to contemplate but in very different ways. Where the latter is all brooding blacks and mean edges, the former, Himeji Castle, appears as something from a fairy tale - the nice, heart-warming bit. The bit that wins in the end. 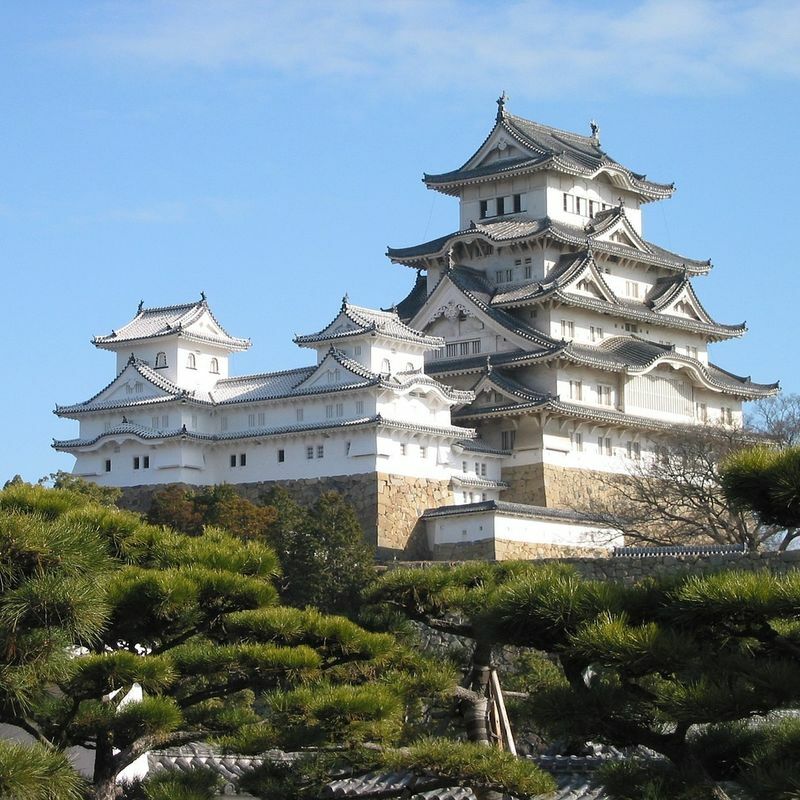 And Himeji Castle is winning, in terms of this list, as the highest ranked castle, nay the most amazing castle in Japan. It should come as no surprise really. More than any other castle in Japan (as well as many other buildings), Himeji Castle doesn’t just demand the visitor’s attention, it wrests it from them whether they like it or not. And most do like it. It’s hard not to. To put it succinctly, this building is amazing, and very Japanese. The situation is exacerbated when we consider that White Heron Castle (as it’s also known) exists in its original form having been spared (or survived) wars and the kind of disasters that have so often raised Japan’s ancient structures. They like things shiny and new over here though, and in 2015 Himeji Castle emerged from years of renovation with a nice new paint job that had people picking their jaws up from the floor. Honestly, on a brilliant sunny day, you need a good pair of sunglasses to look at this thing such is the unblemished white of its new paint work. Had Himeji Castle not been in the top ten, we probably wouldn’t have bothered writing this post for a lack of authenticity or authority. Well now this is so obvious as to be not obvious at all - Asakusa’s Sensoji (浅草寺), the most amazing building in Japan. Who’d have thought, in the early 7th century two brothers fish out a statue of the goddess of mercy from the Sumida River, a temple was constructed in her honor a few years later, and then in 2017 Sensoji is voted the most amazing building in Japan. 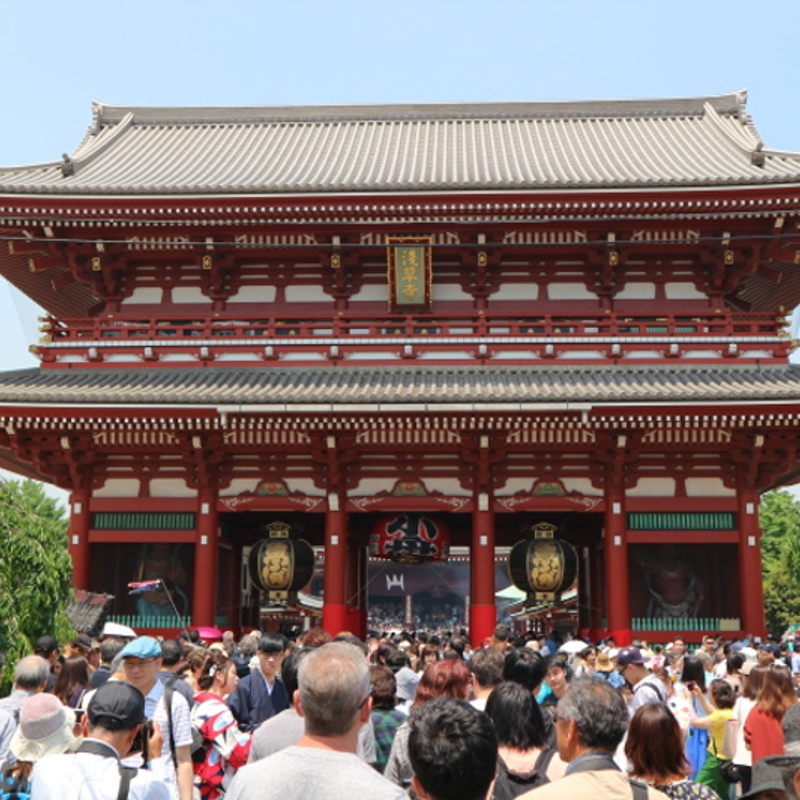 Droll humor aside, Sensoji’s constituent parts - Kaminarimon Gate, Nakamise, Hozomon Gate, Asakusa Shrine, the five-story pagoda - continue to amaze the throngs of visitors who flock to Tokyo’s oldest temple. Perhaps the most amazing aspect of it all is that Sensoji, despite being marketed to over saturation and temporary home to a forest of selfie sticks, manages to rise above the din and draw the eye away from all the potential irritations that come with an army of tourists. OK, so any idea that this is place of quiet worship and reverence to the spiritual by now surely lies only in the minds of a hardy few. The marketing types will have seen to that. But religion, in any country you care to mention, has always been really good at creating spectacular buildings that can see even the most spiritually reluctant have a moment of crisis, and Sensoji is no exception. What would be on you list of the 10 most amazing buildings in Japan? Agree with what you see here? Let us know in the comments. If you can handle the Japanese, the ranked 25 most amazing buildings / structures in Japan can be found here on the "tv asahi" program page. I'd be interested to see a modern take on the list since most of them are buildings that are hundreds of years old, save for Skytree and Tokyo Tower. Definitely worthy on the list but I think it would be neat to see a list of contemporary architectural design feats!